1. How many calories is that? 5. Write an equation to describe this situation. 6. How many M&M’s would be needed to have 1000 calories? 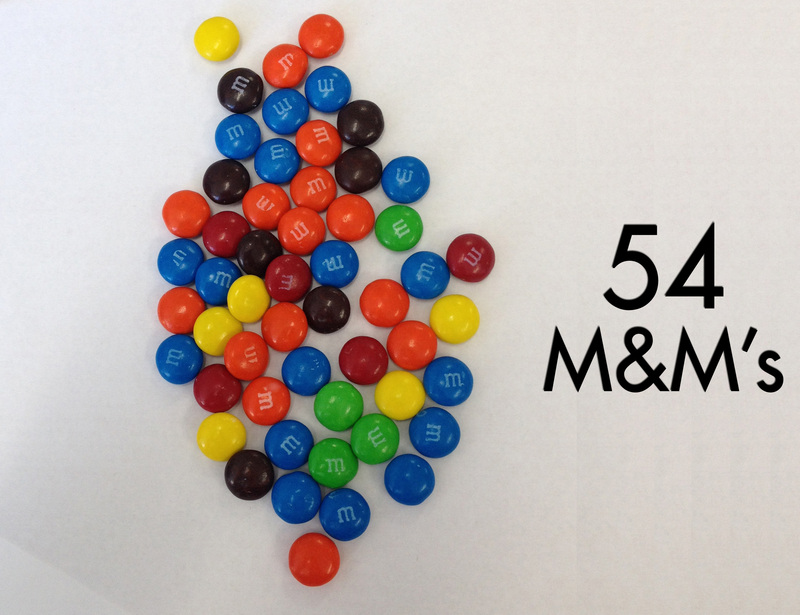 If you divide the 21 calories by the 5 m&m’s, you get 4.2 calories per m&m. 4.2 x 54 =226.8. How did you get 230? Thank you for the comment. I originally just put 230 because it was on the package. 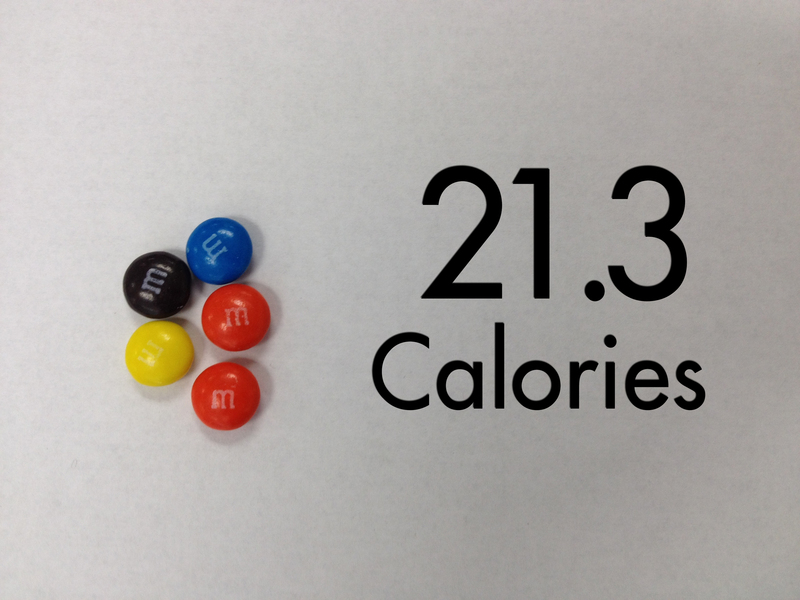 I just changed the act 2 image to say that 5 M&M’s are 21.3 calories. That should work now. Double check me though!